“Ooga chaka! 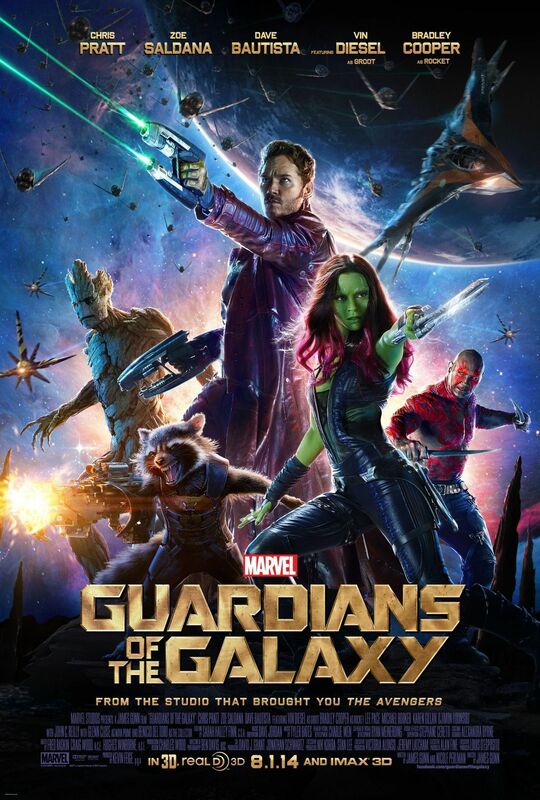 Ooga chaka!” I remember when I saw the first trailer for Guardians of the Galaxy. And, like most folks in the geek community, my level of excitement immediately sky-rocketed. (No pun intended.) Marvel Studios’ track record had been stellar, but I was still hanging onto a few reservations about their take on GOTG until then. In my opinion, it’s a lot easier to make a movie relatable when it’s rooted on Earth, in places we know to exist and may have even visited. It makes it one step easier to suspend disbelief when it comes to aliens, superpowers, and costumed heroes running amuck. However, when the setting changes to outer space, there is an immediate need for an extra level of CGI and special effects, sometimes taking that “reality” away from the movie. (DC’s Green Lantern movie had a few issues, to say the least, but I did enjoy the non-space segments more than their galactic counterparts. Don’t worry, Ryan Reynolds – I still love you, and am holding out hope for a REAL Deadpool movie.) Marvel Studios excelled at making GOTG all about the characters. The spaceships and alien worlds just happened to be along for the ride. Needless to say, Guardians of the Galaxy has proven itself as a worthy addition to the Marvel Cinematic Universe. Now comes the long wait until next year’s Avengers: The Age of Ultron. I’m anxious to see the next pieces of the puzzle fall into place, and ultimately the cosmic battle they’re building to. For now, I will have to be content jamming to my own Awesome Mix, and pondering the heroism of such great earthlings as Star-Lord and Kevin Bacon.